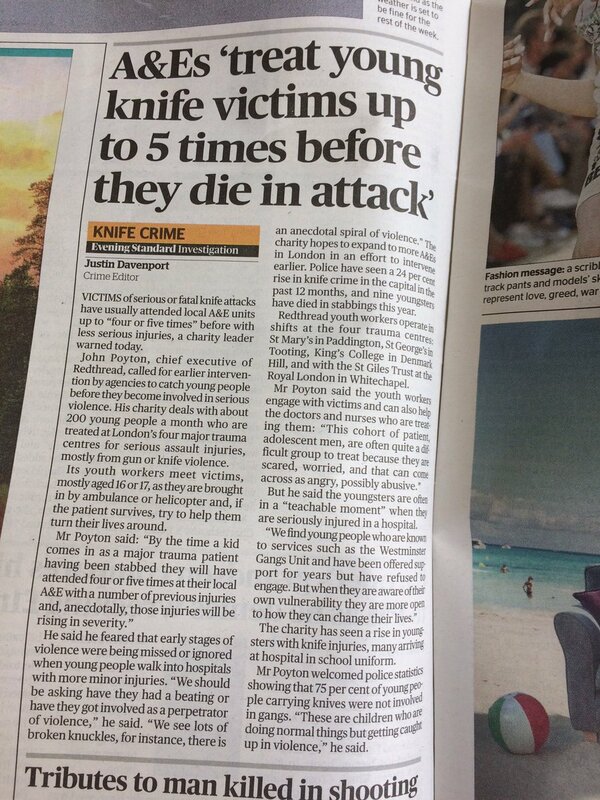 J ohn Poyton, our CEO, spoke to the Crime Editor at the London Evening Standard, Justin Davenport in June about the anecdotal spiral of violence and the subsequent need for earlier intervention. John described our work in London’s Major Trauma Centres and the ‘teachable moment’. He also discussed how young people are arriving at a Major Trauma Centre with a serious injury, but may have visited their local A&E four of five times prior to this, with less life threatening injuries. You can read the full piece online here.